The Double-Sided Tape Runner Refill Petite Dots Permanent features two refill cartridges, a high value adhesive in a small size. 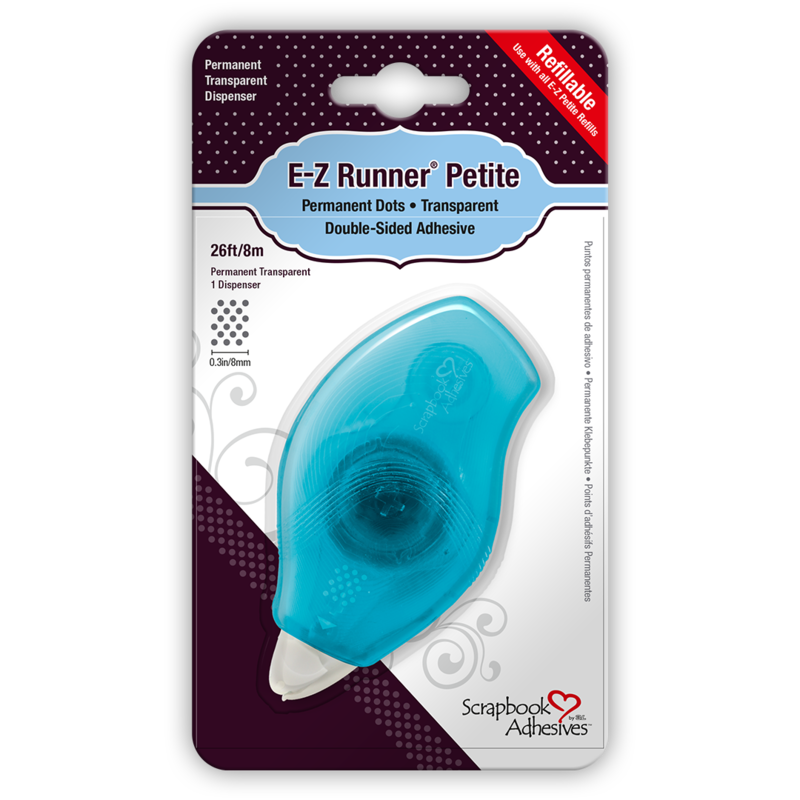 The Double-Sided Tape Runner Petite's are drop-in refill cartridges that allow for 1-step refilling with no winding or threading. Refills feature an unbreakable liner for consistent, fast and smooth adhesive application. Permanent Dots are initially removable with the swipe of a finger before they turn permanent. Non-stringy and dry application allow for a quick and clean project. The Double-Sided Tape Runner Petite Dots Permanent and its Refills are value priced and perfect for travel, scrapbooks, and cards. Keep them handy at home, school, office and in your planner bag. Wear Your Adhesive on the Outside and create your own custom embellishments using adhesives directly with Metallic Transfer Foil, glitter, embossing powder and more. The clear liners are unbreakable, and all Dispensers and Refills are recyclable. To refill: Remove label from refill. Press the button at the top to open the casing at the hinge. Lift the refill to remove. Position new refill. Close the casing. Recycle the refill.